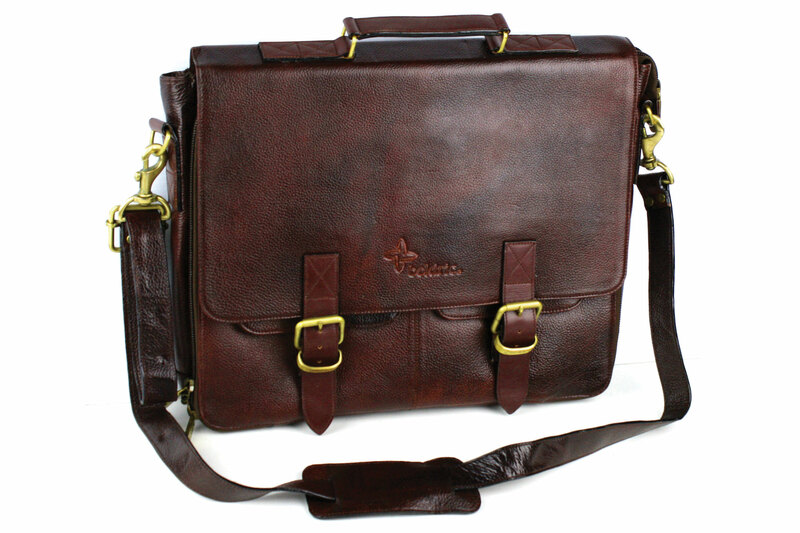 The Boldric Leather Messenger Knife Bag accommodates your on-the-go city lifestyle with a slimmer, more lightweight profile and NDM quality leather. 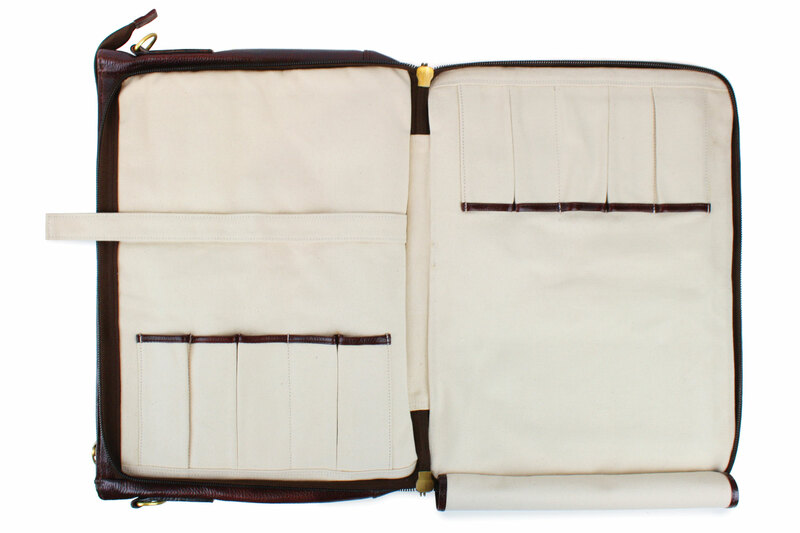 Constructed with water buffalo hide and canvas lining. 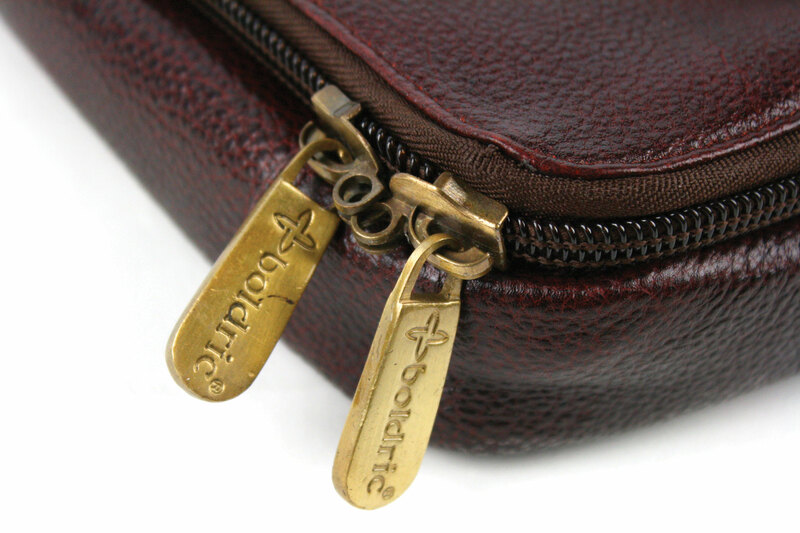 Features beautiful brass buckles with 10 slots for knives and keeps everything in place on the go. 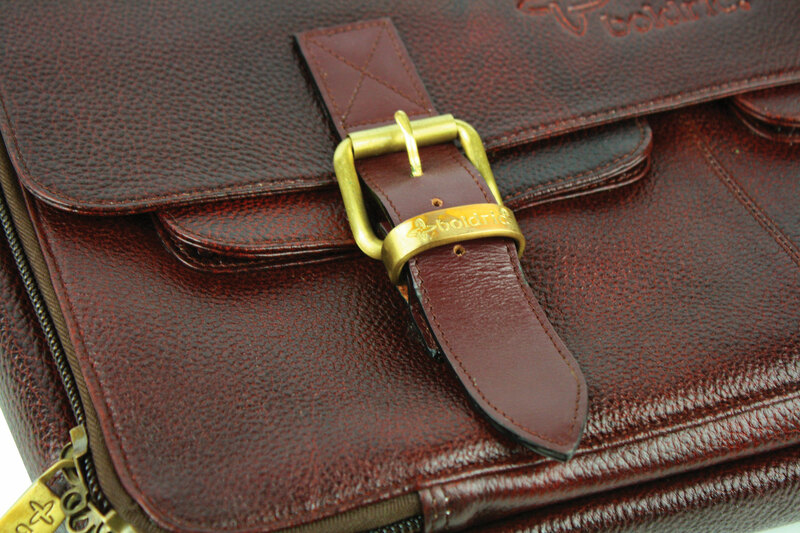 Full-grain leather refers to the leather, which has not had the upper "top grain", and "split" layers separated. The upper section of a hide that previously contained the epidermis and hair, but was removed from the hide/skin. Full-grain refers to hides that have not been sanded, buffed, or snuffed (as opposed to top-grain or corrected leather) to remove imperfections (or natural marks) on the surface of the hide. The grain remains allowing the fiber strength and durability. The grain also has breath ability, resulting in less moisture from prolonged contact. Rather than wearing out, it will develop a patina over time. High quality leather furniture and footwear are often made from full-grain leather. NDM means (natural dry milled) is the best leather that's found in India it's produced in Calcutta and it comes from water buffalo. 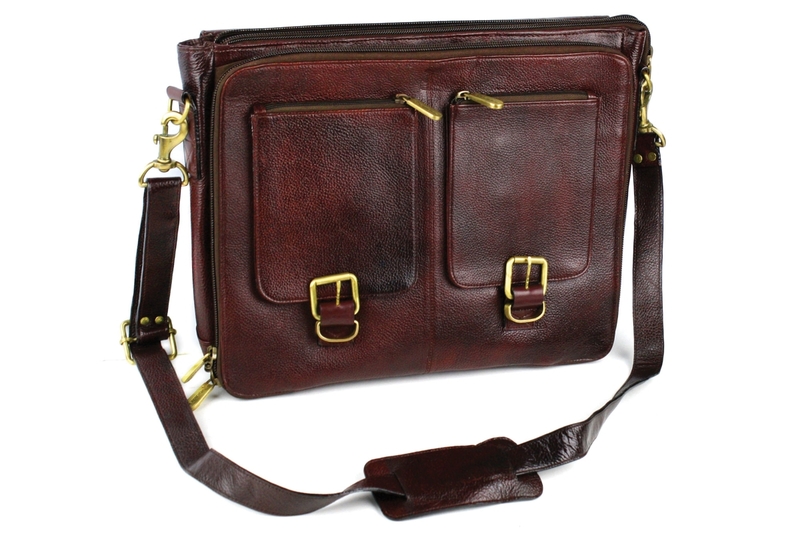 This leather is called NDM because it's one piece of leather that's used to make these bags and approximately 2 animals' skins are used to produce one bag (40 square feet). 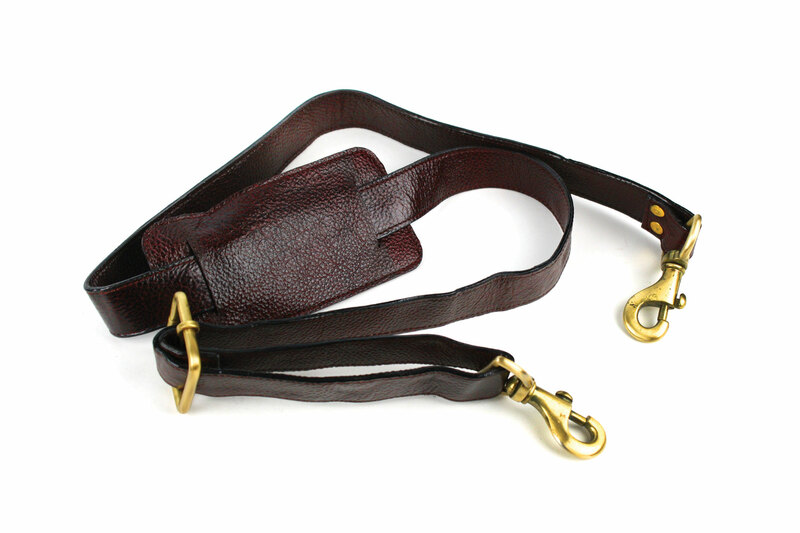 The leather comes from the saddle and the belly part of the animal, which cannot be bruised or damaged. 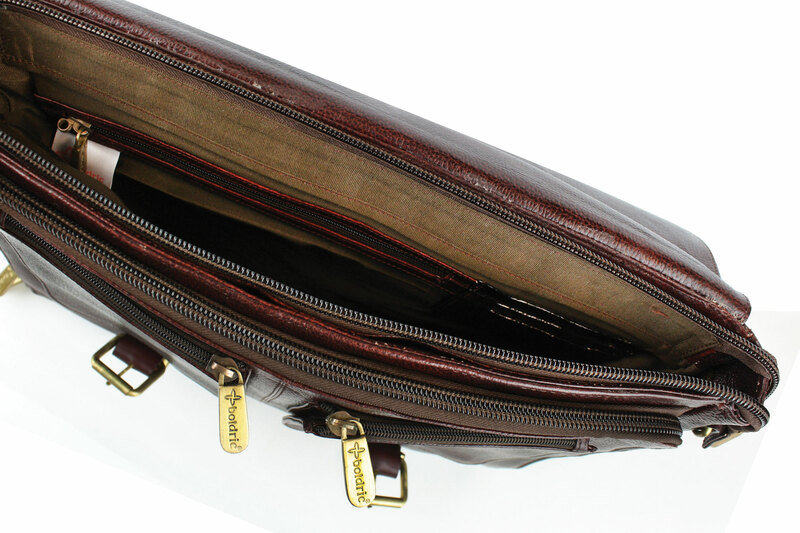 The way you can distinguish between artificial and real leather is that the grains in real leather are uneven and a little discolored.